Make way for the Sugar Fairy’s return! That’s one of the nicknames for Rebecca Masson, who had to shutter her midtown Houston pastry shop Fluff Bake Bar last October. A broken water pipe from the apartment above the shop flooded the dining room. After a nomadic three months where the bakery stayed in operation thanks to wholesale orders and pop-up sales, it reopens on Saturday, January 20. 44 Farms is partnering on the reopening celebration this weekend, which features one of the bakery’s popular Saturday Morning Bake Sale. Creations for the sale featuring 44 Farms’ Texas-raised beef include a Prime Rib Benedict Sammy, Fajita Tostada with Fried Egg, and Brisket with Pimento Cheese on a Pretzel Roll. All will be available until they sell out. 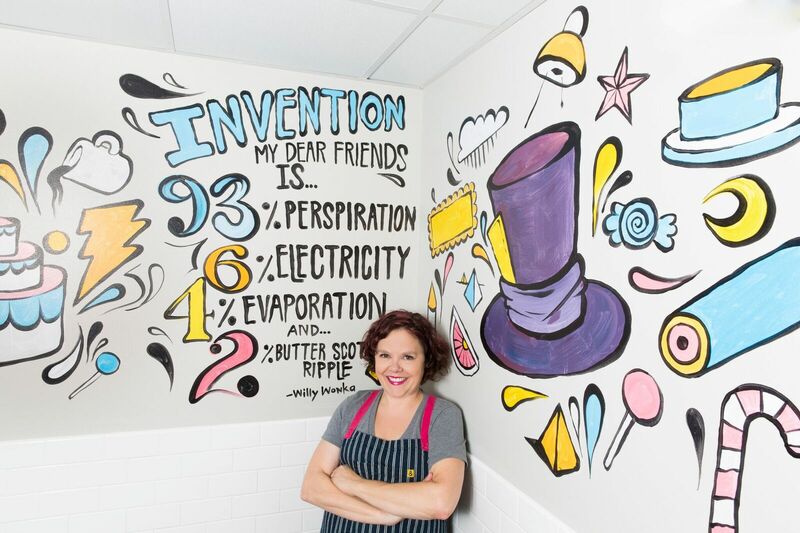 No changes are expected to the menu at Fluff Bake Bar, which will continue to create and serve Masson’s custom treats. Photo by Julie Soefer. Thanks to an opportunity afforded by the reconstruction, the space has been reconfigured a bit. The dining room has been enlarged by removing tables and chairs and installing a rail along the wall with 16 barstools to accommodate the many patrons who stop in for a quick snack. Houston artist Donkeeboy (Alex Roman Jr.) is painting a new custom “Skyline of Cakes” mural on a dining room wall. Donkeeboy also collaborated with Masson to create new Fluff Bake Bar merchandise, including “Karma is a Biscuit” and “Wakey Bakey” T-shirts that are available for in-store purchase. 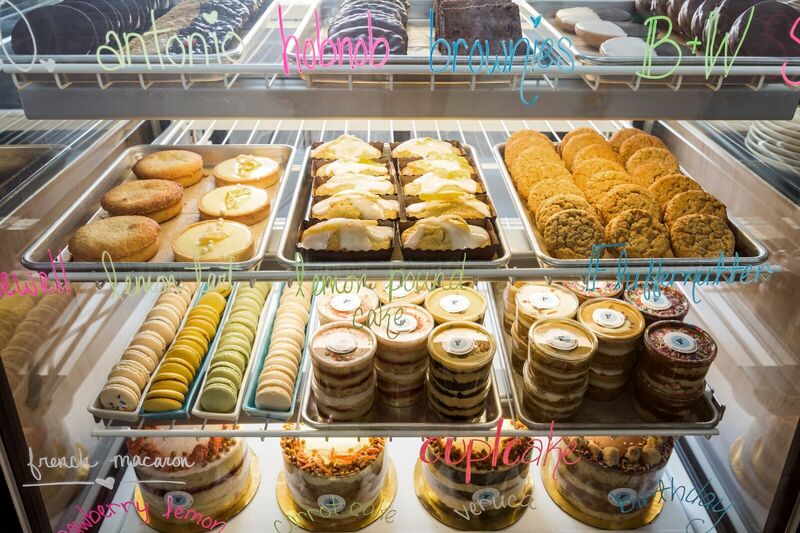 Located at 314 Gray, Fluff Bake Bar’s operating hours are Tuesdays through Thursdays from 10 a.m. to 9 p.m., Fridays and Saturdays from 10 a.m. to 11 p.m. and Sundays from 12 to 9 p.m. There is a difference between “Gray” and “West Gray,” so thank you for that! Correction made!